This is how our life doesn’t differ a lot from “traditional house life”  On our way to birthday party in our car  ….after spending one hour for putting shoes on, dealing with kids mood and (almost or not) losing my temper    But! Once I turn on the engine in our dinghy and make it fast they smile and leave bad past behind .. so do I ! 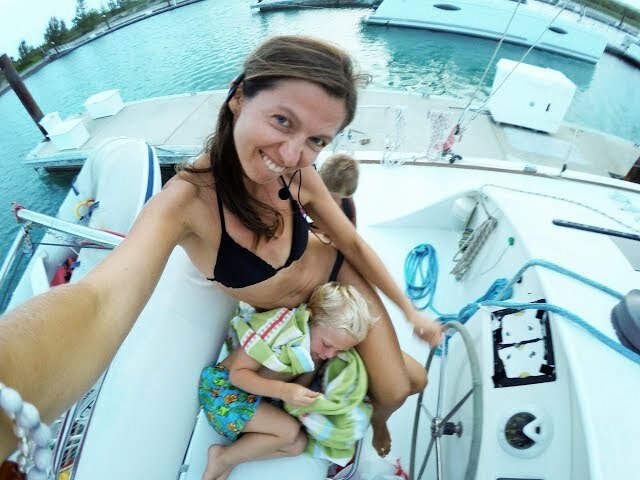  Don’t worry, new episode is coming really soon  This is a mommy life under sail and not only.. The biggest challenge of our sailing life: Shopping with kids! Sailing back to Saint Lucia – Meet our best friends!